What comes to life in this account of the swami is a portrait of his personality (with its irrepressibly witty side) and the power of his ideals. 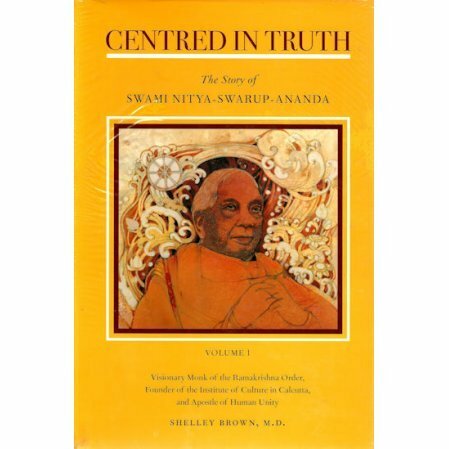 CENTRED IN TRUTH is a major work about Swami Nityaswarupananda (1899-1992), a visionary monk of the Ramakrishna Order who created the UNESCO-acclaimed Institute of Culture in Calcutta and who spent a lifetime striving to bring the universal ideals of Vedanta into the sphere of global thought and endeavor. 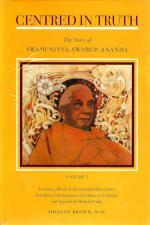 The two volumes bring the swami's life and work into focus from many points of view: through biography and memoir, conversations and writings, reminiscences and memorial tributes. What comes to life in this manifold portrait is the purity of his personality (with its irrepressibly witty side) and the power of his ideals.